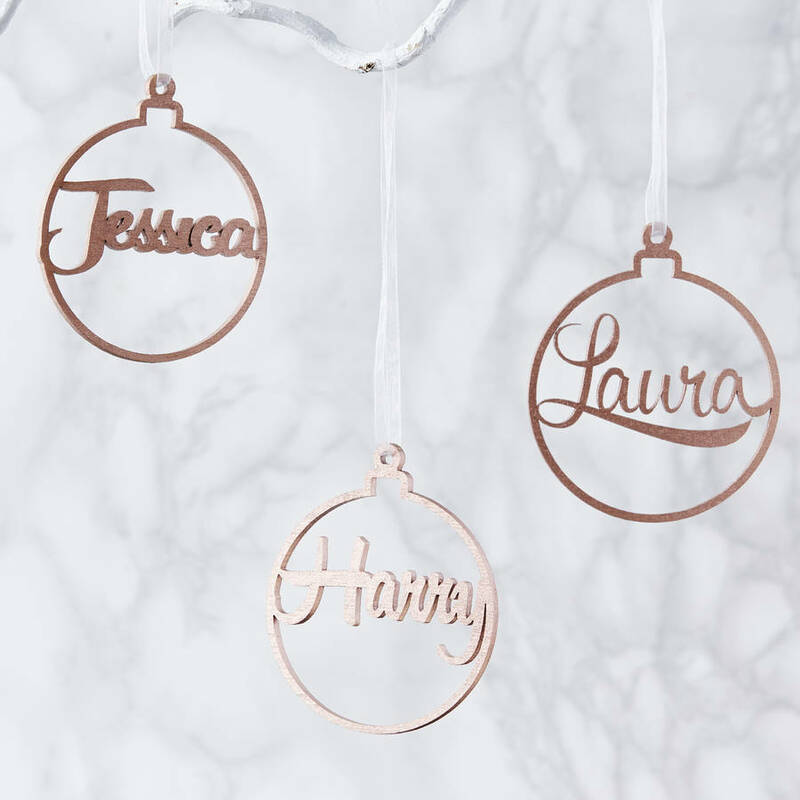 A beautiful Metallic Personalised Christmas Decoration. 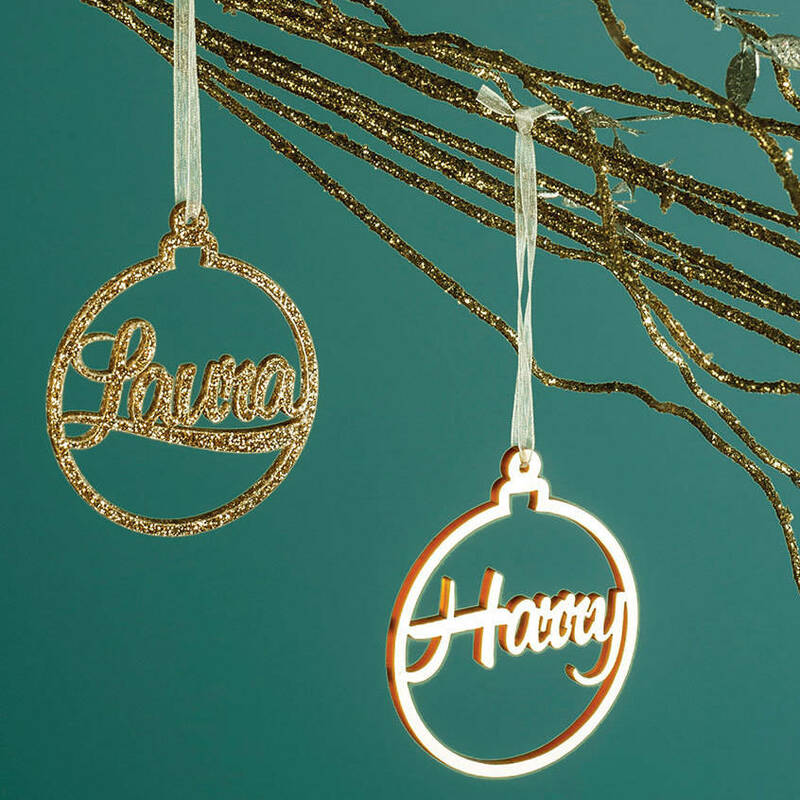 Customised with your chosen name, this make for a wonderful, personal touch to your tree. 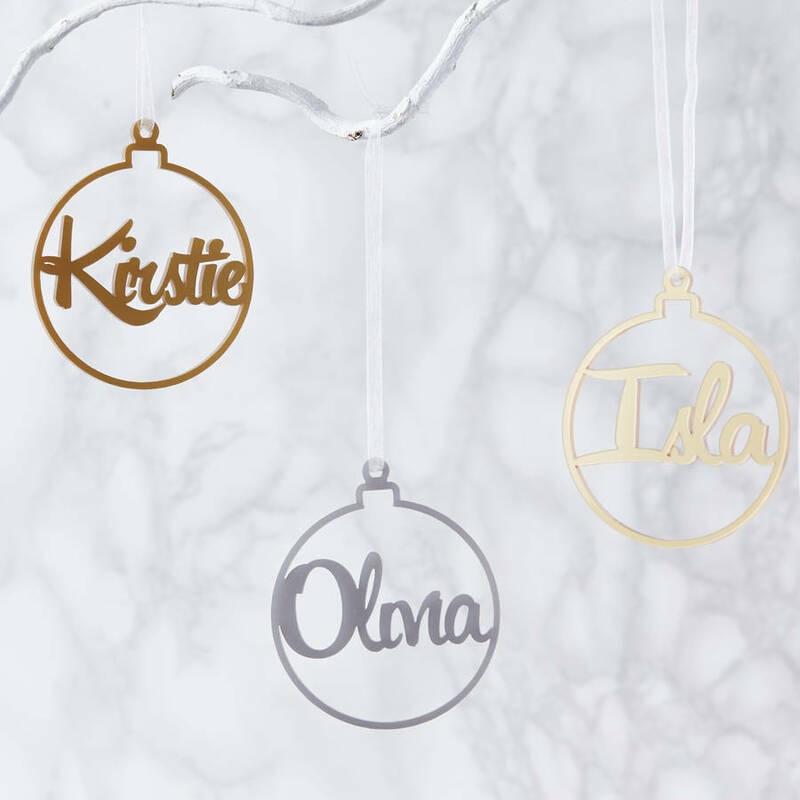 Each personalised bauble Christmas decoration contains your chosen name to be in the centre of our bauble design. 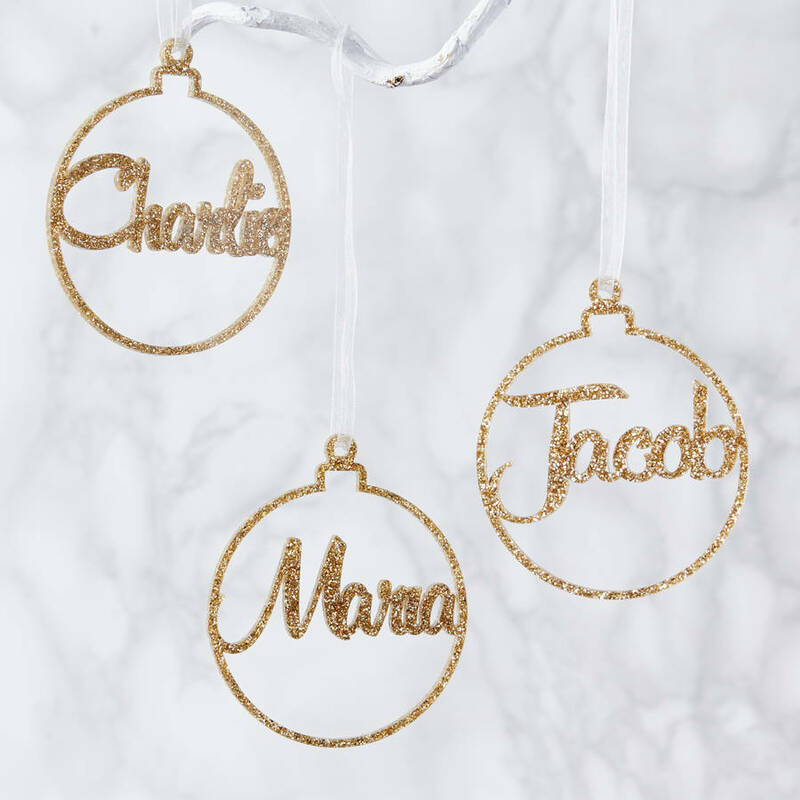 Hang special family memories onto your Christmas tree this winter. Create a set of beautiful decorations that you can cherish for years to come. Simply select one of our metallic colours from the drop down menu and let us know your personalisations for each in the boxes provided. Having a winter wedding? These decorations also make stunning wedding favours, that can also be used as place settings. If you have any questions about placing your order or any other questions, please do get in touch with us by using the 'Ask The Seller' button above. We'd love to help you and answer any questions which you may have. Please note these are not made from metal. Our Decorations are 6cm wide.